In a document scheduled to be published with the federal register on Friday, September 28, the DEA has announced that FDA-approved Epidiolex, a CBD-based drug, has been categorized as a Schedule Class V substance under the Controlled Substance Act. This groundbreaking move comes three months after Epidiolex was approved for the treatment of seizures in people two-years-old and older suffering from Dravet syndrome and Lennox-Gastaut syndrome, two forms of rare and intractable epilepsy. While this is undoubtedly a step forward, the DEA hasn’t changed its stance on other forms of CBD, which highlights the federal government’s viewpoint that several CBD products available on the market are still considered a Schedule I substance. According to the DEA, Schedule I substances are drugs with no current accepted medical value that pose a high risk of abuse. Schedule I drugs are considered the most dangerous that exist and include substances such as heroin, MDMA (ecstasy), cannabis, and LSD and other psychedelics. Meth and cocaine are both Schedule II substances. London-based GW Pharmaceuticals is scheduled to begin production on the drug in order to have it ready for approved patients within 6 weeks. After the DEA announced its decision, GW stocks skyrocketed. Not only did volume increase to 1.9 million shares (nearly four times the daily average) but was up 10% in an early trade session and 8.3% in the afternoon. This is the first time in 46 years that the DEA has changed its stance regarding cannabis. Unfortunately, the DEA hasn’t changed its stance completely. While many experts and everyday citizens alike thought that they’d reclassify all CBD, the DEA has chosen to only reschedule FDA-approved medications that contain the non-psychoactive cannabinoid. And while DEA public affairs officer Barbara Carreno told Business Insider in June after Epidiolex was approved that the DEA has 90 days to reschedule CBD, that’s not quite what happened. Apparently, they did have a choice and went ahead and made it so only federally-approved CBD medications hold this classification. Other non-federally approved CBD products are still considered as dangerous as heroin in the eyes of the US government. While Carreno also said that the rescheduling would cause a “sea of change” for CBD companies across the country, this change is yet to be seen. There’s still a bit of a grey area concerning the legality, something we hope will soon change with the passing of the 2018 Farm Bill. While certainly a step forward for CBD, we still believe there’s bigger issues the government could focus on (like the opioid epidemic, for instance) than people using non-psychoactive cannabidiol to improve their lives and naturally free themselves of pain and anxiety. 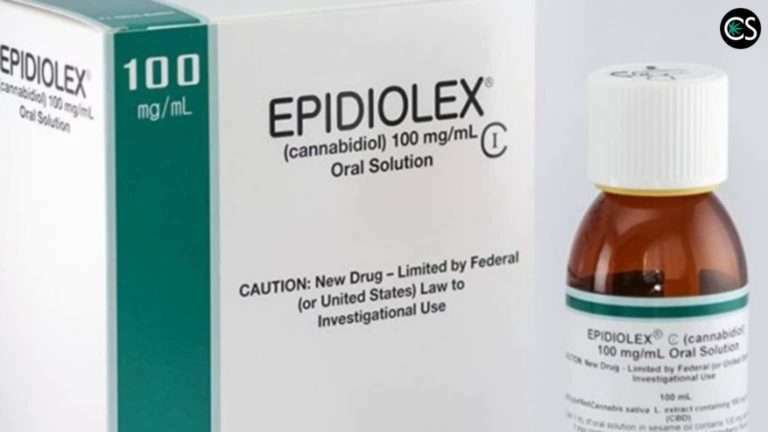 Epidiolex will soon be available to individuals with Dravet syndrome and Lennox-Gastaut syndrome throughout the US pharmacies throughout the nation.